After three months of not-brewing, it was time to dig up my brewing kettles from our work shop to brew a new golden liquid, called beer. 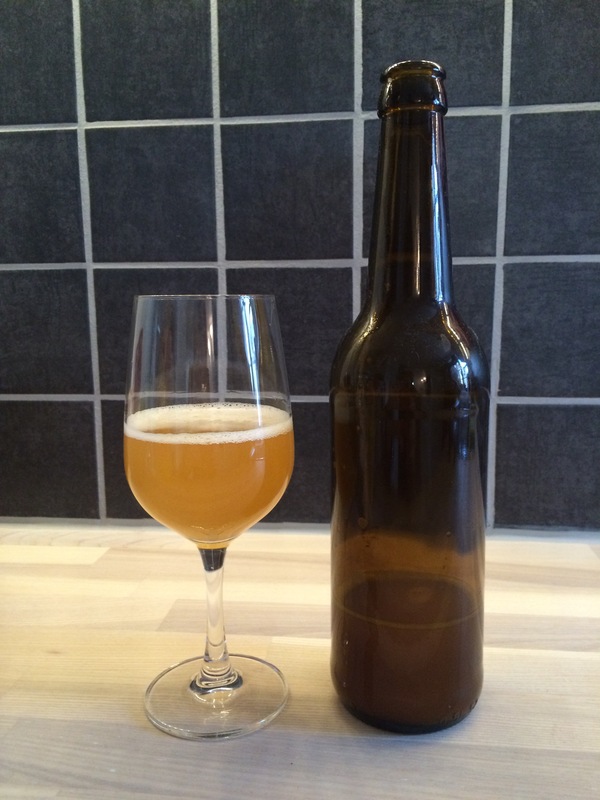 As my last brewing experiments were quite a success, I wanted to brew one of those recipes again: Flanders Tripel. I actually had to rename the former beer to Flanders Blond, but as my smart brother noticed that the beer was more a Belgian Blond style then a Belgian Tripel style. And right he was, as the alcohol level was too low for a Tripel, ‘only’ 6% v/v. The new beer is brewed with barley malt, wheat malt and rhye flakes, like last time, but with a higher density. This time I used also another yeast: WLP500 TrappistAle yeast instead of WLP570 Belgian Golden Ale yeast. The WLP570 gave a too fruity taste in the former beer. As hops I used Styrian Golding and Saaz, the classical ones for Belgian style beers. The beer is not clear, as quite a high ratio of wheat and rhye is used. The foam however is very stable. Very satisfying :-). I am still very happy with my homemade fermentation closet. 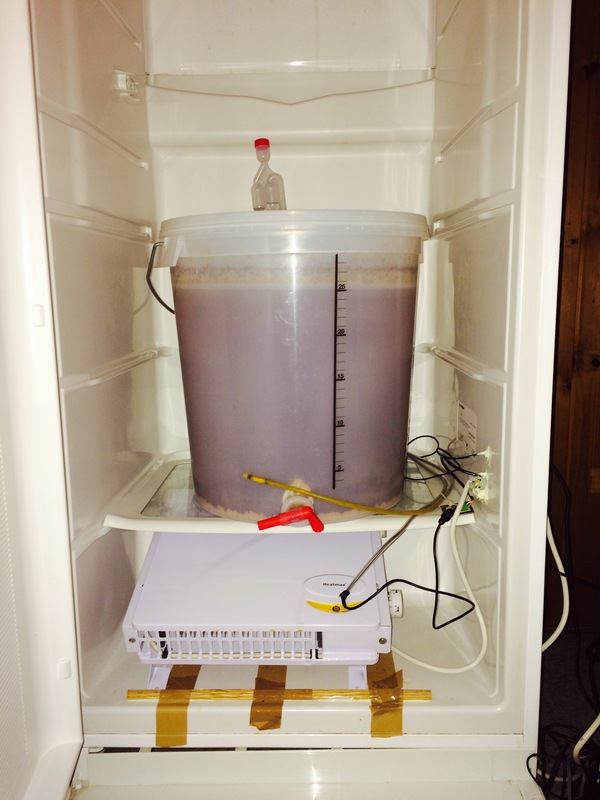 The temperature is very stable and the beer is fermented at 20 degrees Celsius. Next step is bottling and refermentation in the bottle. Very exciting, because two-three weeks later we can taste the first new Flanders Tripel :-). Looking forward to that! Previous Article The French can also make beer – good beer!